Ascend Math Blog | Math Intervention Program begins at each student's lowest skill gap and delivers an individual course of study unique to each student's need. We’ve shared fun Earth Day math problems from our Ascend Math Partners over the years. Here are a few of our favorites to share with your class. Five recycled plastic bottles provide enough fiber to create one square foot of carpet. If the carpet in your classroom is 50 square feet how many plastic bottles would need to be recycled to make it. The mean radius of Earth is approximately 3,963 miles. The mean radius of Mercury is 1,509 miles. Find the volume of both Earth and Mercury. About how many times larger is Earth than Mercury? Keep answers in terms of π.
Monday, April 22nd is Earth Day! This year’s Earth Day theme is to Protect Our Species. 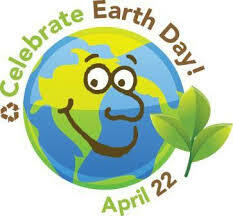 We hope you have lots of Earth Day fun planned for your classrooms. Share your class’ earth day activities with us on Twitter or Facebook by tagging @AscendEducation to receive a packet of Earth Day pencils made from recycled newspaper for your entire class! 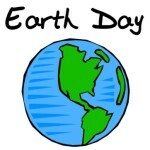 Here are some links to fun Earth Day activity ideas to help your class celebrate. Check back with us later this week for fun Earth Day math problems! We’re continuing our series of fun March Mathness problems this week. Here are a few more problems that your class is sure to enjoy. Auburn and Virginia will play each other in the Semi-Final on Saturday. In the last round Auburn beat Kentucky 77 to 71. Virginia beat Purdue 80 to 75. Determine how many points each team won by. Which team won by the greatest margin? In Michigan State’s thrilling 68-67 win over Duke on Saturday, Michigan State made 30 out of 70 field goals. Duke made 26 out of 57 field goals. Determine the field goal percentage for each by dividing 30 by 70 and 26 by 57. Who had the better field goal percentage? A. While Duke outshot Michigan State 45.6% to 42.9% the Spartans took 13 more shots to overcome the Blue Devils. NBA games have 4 12-minute quarters. College games have 2 20-minute halves. Which games are longer, NBA or College, and by how much? In Gonzaga’s loss to Texas Tech last Saturday they scored 69 points while Texas Tech scored 75. If Gonzaga led by 2 points at half time, by how many points were they outscored in the second half? Although Duke was defeated by Michigan State on Saturday, The Blue Devils were picked to win the championship in 39.2 percent of all brackets that picked a champion. Use the Ascend Math Graph Exploration to plot the percent of brackets that picked the teams in the upcoming final four tournament to win the championship by referring to: Duke is the team the world picked to win the NCAA tournament. Scroll down to the middle of the article to see the percentages of brackets in which each team was picked to win. Here are two awesome examples of past march math problems! But first we would like to challenge your classes to create and submit your own NCAA tournament related math problems! You could use the graphing exploration, another Ascend Math resource or simply submit a problem. Every class submitting a problem will be eligible. All entries will be featured on the Ascend Math blog with the name of your school and class. We will even include a picture or logo from your school with the posting. The winning classroom will receive a $50 March Madness party gift card (VISA gift cards are the same as cash anywhere VISA is accepted). Use the gift card to purchase pizzas, cupcakes, juice or whatever you like for your class party. Drawings will be held on April 1, 2019. The Winner will receive their gift card in time for the National Championship. A college basketball court is 94 ft by 50 ft (4,700 square feet). There are 68 teams competing in this year’s NCAA Tournament. If the court is divided into 68ths so each team can practice, how many square feet will each team get to practice? College players use a basketball that is 9.4 inches in diameter. The hoop is 18 inches in diameter. If a ball passes exactly through the center of the net, how much space will there be between the edge of the ball and the hoop? 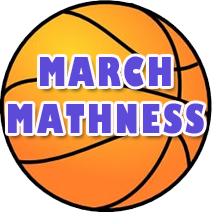 This year we’ll kick off our fun related blog, March Mathness, with an activity created by the Ascend Math Team! Use the Ascend Math Graph Exploration to plot the distribution of team colors and mascots by referring to: Why you should always pick blue and orange teams in the NCAA tournament and How to pick your NCAA tournament bracket based on team mascots. Check back with us later this week for more fun math problems and an exciting contest! No matter how effective a solution, without fidelity of implementation that solution will not be successful. Fidelity of implementation, sometimes referred to as “Intervention Integrity” simply means that the intervention is carried out in the way it was designed. Researchers emphasize the importance of fidelity at all tiers of intervention and throughout all essential components of the RTI system. If an intervention has a research base supporting, for example, a particular duration, frequency, length of session, etc., then the intervention should be conducted as it was in the research studies in order to meet the “fidelity” criterion. Intervention Integrity is important because failure to implement with fidelity can result in a number of undesired or unintended outcomes. For example, failure to implement with fidelity may unintentionally impede the progress of the student through the intervention. It may also falsely implicate the student’s learning ability—rather than the implementation of the intervention—in his or her failure to progress. In addition, placements, decisions, and outcomes of an RTI program as a whole cannot be supported unless fidelity of implementation is clearly documented. Administrators and teacher leaders can help ensure fidelity of implementation by emphasizing it in professional development sessions introducing the intervention. Most compelling among arguments for fidelity are statistics demonstrating past successes using the intervention with integrity. Research shows that once educators begin seeing results on their own, the need for providing them with awards, recognitions or other incentives to implement the program with fidelity is diminishes. Just the fact that students are making progress is generally an intrinsic motivator. Leaders should ensure successes are celebrated and must also provide support to teachers and administrators who are falling short of the expected results of the intervention. One way is to share strategies and best practices for the effective use of time and resources necessary to implement the intervention within the school day. The automaticity of Ascend’s progress monitoring and reporting facilitates administrators’ and teachers’ ability to implement with fidelity and to document the implementation. School staff are able to retrieve and analyze hours worked and levels gained by individual students, classes and other groupings, grade levels, and schools, and administrators are able to easily review whole-school progress. This documentation of fidelity produces results. Ascend Math has been successfully implemented with consistent results in a variety of use models. As mentioned in Part Five of this series, some schools use Ascend as the cornerstone of a second math elective. Others use the program in regularly scheduled math labs or in block periods. Ascend has tracked and documented the success of students using any of these instructional configurations. In a middle school in which students use Ascend as a second math elective 67 percent of sixth graders, 56 percent of seventh graders, and 75 percent of eighth graders gained a full grade level progress in a single quarter. In a high school in which students use Ascend in math labs approximately four hours per week, numerous students progressed through two grade levels and some students progressed through three within a single school year. In another middle school in which students use Ascend in block periods approximately two to three hours per week, 41 percent of students completed two or more levels within a single school year, and 45 students using Ascend reached their grade level. See more results here. Although widely acknowledged for more than a decade as critical to student success, the use of data in the decision-making process is still far from being maximized in schools. It’s true that an effective Response to Intervention (RTI) system incorporates frequent assessment and progress monitoring at each phase of implementation, but too often, the use of this data to inform decisions at multiple points within the intervention process is not a given. Schools and districts need to ensure that every decision is supported with clear and comprehensive data. Implementing an intervention program with fidelity is one of the most challenging aspects of RTI, as it requires schools to create a clear statement of outcome measures and a comprehensive system of coordinated assessments to track outcomes over time prior to implementation. In order for data-based decision making to be effective and consistent, it is critical that assessments be uniform—teacher-to-teacher variations can undermine the integrity of data used to make decisions about the RTI process and the interventions used. RTI can be seen as a slope, which, when overlaid with the clearly-defined expected outcomes of a student, can aid teachers in evaluating whether instructional experiences address the needs of all types of learners, and whether the student is making sufficient progress. If the student does not respond as expected, further individualization and differentiation must be implemented. RTI is an essential component of data-based decision making. There remain central challenges to effective RTI intervention, the primary ones being cost, time, and classroom configuration. Solutions include the use of a multi-stage universal screening process to more accurately identify students truly at risk and in need of early intervention. Studies have also found “fast tracking” students from Tier 1 to Tier 3 intervention based on the significance of academic deficit to be effective. This can reduce cost by eliminating a likely-ineffective Tier 2 intervention. Finding time for staff to receive adequate training, implement assessments, provide instruction, and monitor progress within an RTI program is also a significant challenge for schools. Research shows technology-based instruction, where progress and reports are automatically tracked, can free up staff to focus on progress monitoring and focused data analysis. Finding flexibility in the class schedule to accommodate Tier 2 and Tier 3 intervention alongside regular classroom instruction is also a significant challenge, particularly at the high school level. In addition, when a Tier 2 or Tier 3 intervention is allocated as a separate elective, some students may progress beyond their targets on one or more outcome measures prior to the end of the semester. This either results in an unintentional slow-down of the student’s progress/potential, or requires the teacher to gather additional materials to teach to the student’s level until the semester is finished. Easy-to-use reports compare student time on task and learning objectives mastered. Other formative reports track post- test versus pre- test scores to ensure that students achieve math competency as described in individualized learning plans. Summative assessments are aligned to local and state standards and high-stakes assessment objectives, allowing Ascend Math to be integrated seamlessly into a school’s or district’s overall RTI program. The automaticity of administration ensures that data gathered are accurate, consistent and descriptive. Further, Ascend’s reporting tools enable school staff to view and document student progress to make productive, agile decisions about student placement and intervention effectiveness. Ascend Math’s Activity Reports also assist educators in decision making. These reports enable school staff to view individual student and group progress and compare those with the goals of the RTI program. For example, a school may set student usage guidelines for students who are borderline between Tier 1 and Tier 2 intervention, or another for strictly Tier 2 students, and yet another for Tier 3 students. At any time, the Ascend Math Activity Report allows school staff to monitor and document each student’s (and groups of students’) status with respect to these guidelines. Challenges to RTI are addressed by Ascend Math as well. For instance, the program’s multi-stage universal screening process is designed to precisely identify students truly at risk and in need of intervention, which allows schools to save money by immediately assigning students to the specific level of intervention they need. Being technology-based, Ascend Math also helps solve the problem of time. Because students are able to work independently, they are less in need of constant monitoring, which allows teachers to focus on individual student data and what decisions need to be made for each learner. Ascend Math also requires little start-up training for teachers and school staff, and automatically generates reports, reducing the amount of time needed to view, analyze, and act on data. In addition, students can access the program anytime, anywhere, reducing the time burden on busy school staff. One of the important distinctions of Ascend Math, as compared to other programs, is its extremely flexibility. If a student should progress beyond their target goal before the end of the semester, the program accommodates their accelerated learning with more advanced lessons, rather than forcing them to stay on hold until the end of the semester. Ascend is also flexible enough to be used in a variety of circumstances. Schools have successfully used the program in second math electives, math labs, and block periods, among other models. With Ascend Math, consistent results have been achieved across a range of use models in elementary, middle, and high school levels, which makes it easy to fit into any school schedule. Learn more about the Six Critical Components of a Strong Math Intervention Program and the Ascend Math Model. Part 6 of this series will focus on Intervention Fidelity/Integrity. Progress monitoring refers to the process of frequently gathering student achievement data, analyzing the data in a timely, repeatable manner, and making sound instructional and intervention decisions based on the data. Progress monitoring data can be used to estimate students’ rates of improvement, which allows for comparison to peers, or identify students who are not demonstrating or making adequate progress so that instructional changes can be made. To support the frequency and intensity of progress monitoring, assessments should be brief, repeatable, reliable, valid, and highly sensitive to even small changes in proficiency. Assessments should enable the presentation of data in visual representations that are quickly and easily understood by stakeholders to facilitate agile instructional decisions. They should also use readily-available materials, feature standardized administration and scoring techniques, and be easy to implement in order to promote fidelity. It’s important that assessments are nimble and timely in order to ensure a learning plan keeps up with their progress. With embedded, continual assessment, student progress can be captured on demand at any point. In addition, the frequency of data collection and analysis can be customized for each student and based on each school’s specific staff and schedule limitations. Another critical factor in progress monitoring is that data collected clearly illustrate student performance at its actual level—not at the level where the core curriculum is being taught. That is, assessments must illustrate the student’s actual level of performance within and across academic subjects and domains within a subject—be it one or more levels below grade level, at grade level, or one or more levels above grade level. Students are also empowered and motivated by visual representations of their progress. Each time they log in to Ascend the first thing they see is their personal avatar climber. They continuously see progress as their avatar ascends the mountain one objective at a time. Mountain badges are earned for each level the student climbs. Students can also earn badges and rewards for time on task and objectives completed. Another option for students to measure their progress is the student progress page, where they can view the total hours they worked the day, week and previous week, as well as time on task for the current objective and date completed. Ascend Math provides easy to read progress monitoring reports and real-time data, meaning the student’s progression of achievement is monitored and instructional paths are adjusted to meet evolving learning needs. Ascend’s formative and summative assessments require no special materials or time-consuming set up and are fully automated to ensure uniform administration. Results are presented in easy-to-understand visuals that are consistent for students, classes and schools. 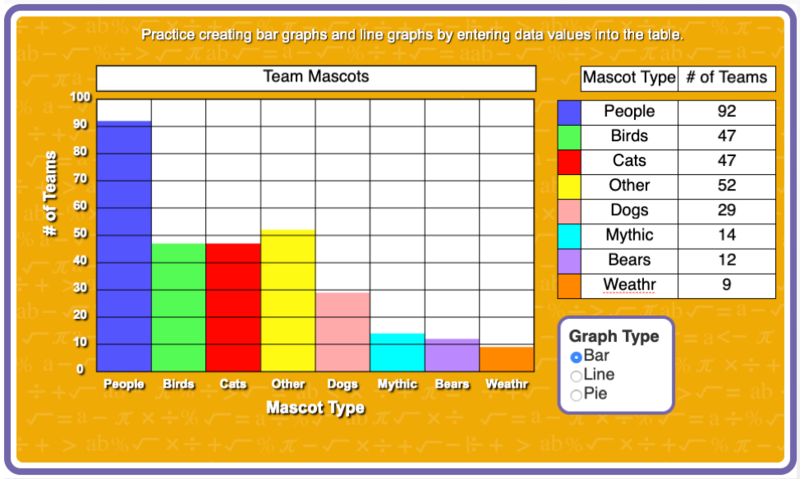 For instance, bar graphs and pie charts show the teacher individual and whole-class objectives completed, hours worked, current skill levels, levels of growth and levels of achievement. Beginning with its diagnostic screener, Ascend Math identifies the grade level at which each student is actually performing. This appropriately leveled data leads to sound instructional decisions. Once the student has been assigned a level, he or she takes a pre assessment on the first unit of instruction. Ascend automatically removes learning objectives in which the student is proficient. Any non-mastered objectives indicated by the student’s pre- assessment results become the student’s individual learning plan. Ascend Math automatically advances students through functional levels. Comprehensive reports allow administrators to gauge level advancement and determine the effectiveness of the intervention. For example, in Crisp County Middle School in Georgia 41 percent of the students using Ascend Math completed two or more levels and forty-five students out of 112 attained their grade level goal within the year. Other examples include: Emmet Belknap Intermediate School in New York where Tier 2 fifth- and sixth- graders who previously averaged one half year grade level growth, achieved nearly four times that using Ascend Math, and; Jerry Junkins Elementary School in Texas, which saw K through 6th graders in the Ascend Math class achieve 47 percent mastery on the STARR test versus 26 percent in non-Ascend math classes. Part 5 of this series will focus on Data-Based Decision Making. Every student is unique, with different instructional gaps at different levels. Typically, students are instructed according to grade level and with an assumption they have mastered all the preceding building blocks necessary for grade-level math instruction. But this is often not the case. It is imperative that an effective intervention provide a tiered model for student instruction and assessment while identifying skill gaps, especially below level, and tailoring instruction to focus on the most-needed content. At Tier 1, it is assumed that regular classroom instruction incorporates differentiated learning—specific strategies, tools, or approaches that meet the varied needs present within a typical heterogeneous classroom. For instance, teachers may employ text, visuals, manipulatives, audio support, small or large-group problem-solving or other techniques. Tier 2 Interventions typically feature individualized instruction. Whereas differentiation at Tier 1 assumes that a variety of instructional strategies will meet the needs of most students, Tier 2 intervention becomes specifically personalized to each individual student. Individualization includes attention to both learning style—how a student learns best—and content—what a student needs to learn. Personalization also applies to advanced students, allowing them to accelerate at an increasing pace. Ideally, Tier 2 interventions target a student’s actual level of performance rather than his or her grade level, and reflect the reality that a single student may be functioning at a variety of instructional levels within and across academic subjects and domains within a subject area. For instance, a student may understand multiplying fractions, but not dividing fractions. If a student does not respond to Tier 2 intervention, despite fidelity of implementation, he or she progresses to Tier 3. Tier 3 intervention requires significantly more individualized intervention, combining some aspects of Tier 2 intervention with additional instructional content and/or strategies based on specific student needs, as well as increased intervention time. Ascend Math is one of the few math intervention programs to provide a truly individualized study plan for each student. Recognizing that many students have not mastered all the preceding building blocks necessary for grade-level math instruction, Ascend provides a platform where students work at multiple functional grade levels of proficiency within the same class. Based on the results of the diagnostic assessment, Ascend Math teachers may address multiple levels of intervention simultaneously. A single Ascend Math classroom of eighth graders may simultaneously have 67 percent of students working at third grade level in math, 19 percent at a fourth grade level, and the remaining students spread out between fifth and seventh. Ascend Math reaches each student at his or her functional grade level, addressing individual skill gaps, resulting in impressive gains on benchmark tests. Once the student has been assigned to a level, he or she takes a pre-assessment over the first unit of instruction. Ascend automatically removes learning objectives in which the student is proficient. Ascend Math then automatically directs students to instruction for non-mastered objectives indicated by the student’s pre-assessment scores. Students will demonstrate mastery on a post assessment prior to moving on to the next lesson in a logical math sequence. Therefore, using the state standards appropriate to each district, Ascend Math automatically individualizes instruction and assigns each student a carefully-articulated study plan based on pre-assessment results. and assessment to ensure mastery of skills. Ascend Math’s instructional approaches support a variety of kinesthetic learners, English Language Learners, and Special Education students. Students progress at their own pace through the program, and learning pathways are adjusted automatically as skills and concepts are mastered. For example, students complete a grouping of objectives quickly and then move on to the next brief pre-assessment thereby building an individual study plan one piece at a time. In this way, students who have been frustrated feel encouraged as they successfully fill skill gaps quickly. Ascend meets students at their actual level of mastery—identifying skill gaps and tailoring instruction to focus on the most-needed content. Part four of this series will focus on Progress Monitoring. There is widespread agreement among education researchers and experts that universal screening is central to an effective RTI program. Implemented as part of a Tier 1 Intervention, universal screening identifies current or potential academic deficits for every student. Universal screening instruments may include Curriculum-Based Measures (CBMs) such as regular classroom tests, quizzes, activity reports and more formal evaluations of skill mastery, such as state assessments, district assessments, and other assessments as determined by the school’s RTI team. Some researchers suggest that a single-stage screening, which relies on a sole instrument of measurement and is performed during a single sitting, can result in significantly inaccurate results. Such inaccurate results can include a high level of false-positives or false-negatives, unnecessarily increasing a school’s investment in RTI or under-identifying at-risk students, unacceptably delaying their access to needed interventions. To avoid this challenge, researchers recommend a two-stage screening, in which the cut point is set sufficiently high to eliminate students clearly not in need of intervention, including gifted and talented students who are advanced in mathematics. This is followed by a second, more detailed assessment of students who did not meet the cut point on the first assessment. An effective universal screening process should quickly and accurately determine which students to target for intervention and identify specific gaps in student performance and expected instructional outcomes according to grade level. Universal screening instruments should also be easy to administer and analyze, presenting data in a way that is accessible and facilitates timely instructional decisions regarding course placement and scheduling. This also ensures that universal screening occurs with fidelity—that teachers or other school staff are consistent and timely in their intervention programs. Ascend Math can play an important role in multi-stage universal screening. A school may choose to utilize Ascend’s adaptive Level Recommendation Screener for all student populations to quickly eliminate students not in need of intervention and efficiently identify students performing significantly below grade level. Or, following a stage 1 “high level” screening such as a state test, which eliminates students clearly not at risk, schools can administer Ascend’s Level Recommendation Screener to students that did not perform adequately to quickly and efficiently identify their exact functional level.l. Easily readable Teacher and Administrator Dashboards allow educators in different roles to view students’ proficiency status in terms of a student’s functional level versus actual grade level. Diagnostic assessments then pinpoint students’ performance according to mathematics standards and major content areas to provide a comprehensive, accurate picture of current levels of math proficiency and to automatically create a fully-individualized intervention plan for each student. Ascend’s Dashboards further facilitate the analysis of individual student and whole-class screening with immediate results and color-coded charts and graphs that provide a quick and detailed read on each student’s skill level, and overall class progress. For example, in a Maryland middle school, administrators selected a set of students who had not made adequate progress on the state mathematics test in previous years. These students were administered Ascend’s diagnostic assessment, which found that 97 percent tested at least one grade below their current grade and 70 percent three or more grades levels below. This data supported the accuracy of Ascend’s diagnostic assessment in confirming the need for intervention and allowed districts to accurately place students in Tier 2 or Tier 3 interventions in a timely manner. Dramatic results in less than a school year include: the number of students testing at third grade level decreasing by 92 percent; and 60 percent of grade six through eight students gaining two-to-three grade levels. For additional results, see Holabird STEM Program, MD. Part three of this series will focus on Individualized Instruction.